Turkey is a country that holds a special place in my heart. 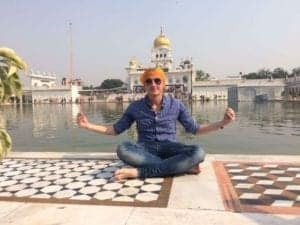 It was my first solo travel experience 3 years ago and I fell in love with Turkey at the first sight, as soon as I walked out from the Istanbul Airport. A city so great that it can’t be contained in one continent. Istanbul is called the ‘Center of the World’ for a reason. With its dazzling mix of the old and the new, the West and the East, Istanbul is the constant beating of the wave of the East against the rock of the West. Wondering down the crowded bazaar where the smell of roasted meat and chestnuts dominates, you will find some of the friendliest people in the world. But just like New York isn’t America, Istanbul isn’t really Turkey. From Antalya, the world’s record holder for the highest number of Blue Flag beaches, through the terraces of Pamukkale and the hot air balloons in Cappadocia to the charming Uludağ Mountains, Turkey has a lot to offer. Solo traveler guide to Turkey. Unlike many people think, Turkey is a modern and secular country. Outside of Europe but still within the Aegean, Black and Mediterranean Sea coastlines, Turkey is one of those countries that have it all, from stunning beaches to gorgeous mountains. No matter whether you’re a solo traveler, a backpacker or an all-inclusive traveler, Turkey will surely have something in store for you. The best part about Turkey is that it never stops to amaze you. Only one step away from the tourist areas you will always find an authentic beauty that you’d need more than one lifetime to fully discover. As for the safety concerns, there has been some instability lately that damaged the country’s tourist reputation. Hence, traveling alone in Turkey has been classified as dangerous in recent years. But once you try it, you’ll fall in love with Turkey and Turkish hospitality. Turkish people are arguably the most hospitable people on our planet. If you didn’t figure it out until now, my answer to the question “Should I visit Turkey?” is an absolute YES. And let me tell you why. 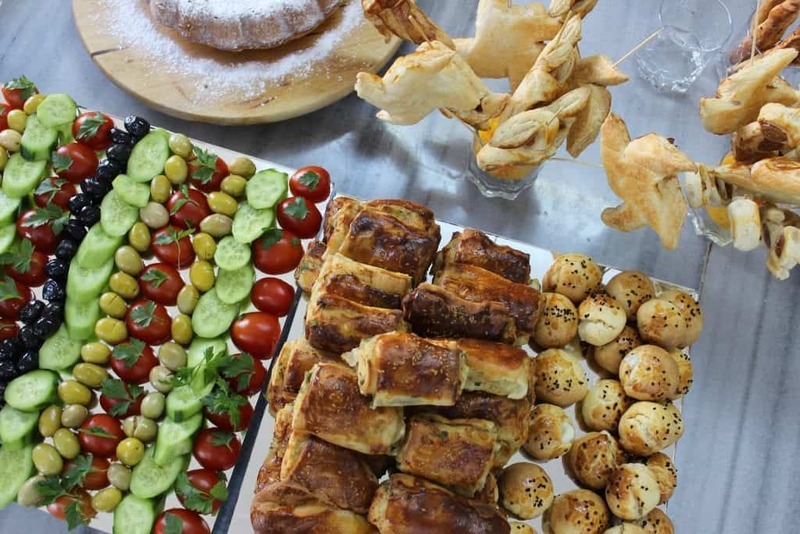 Turkish cuisine is a heritage from the Ottoman cuisine and it can be described as the ultimate mix of Central Asian, Middle-Eastern, and Balkan cuisines. So, definitely don’t listen to people saying that Turkish cuisine is just tasty kebab and baklava. As you can see, Turkey is a massive country and the cuisine varies across Turkey’s seven regions. The food in the Aegean Region, the Mediterranean, and Marmara (Istanbul) includes a lighter use of spices, vegetable stews, and a preference for rice over bulgur. The Black sea region is famous for amazing fish and seafood dishes. The Central Anatolia region has some amazing local delicacies like keşkek, mantı, and gözleme. Finally, the Eastern and Southeastern cuisine is known for amazing kebabs, mezes, and mouth-watering sweets. Since I mentioned sweets, the Turkish Delight (lokum) is arguably the oldest sweet in world’s history. It’s been first mentioned 500 years ago. Sweets are also an important part of Turkish tradition. Life begins and ends with sweets in Turkey. When a child is born, it’s welcomed in the world with halva, and the same thing happens when someone passes away. 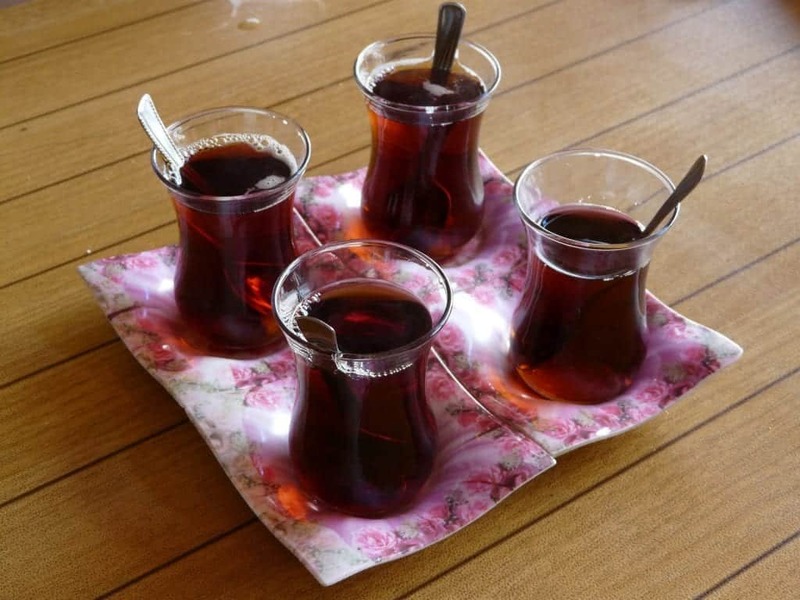 Turkish people also love tea and you will see a lot of people drinking 10 or more cups a day! This makes Turkey the country with the highest per-capita consumption of tea in the world with 7 lbs per person. Logically, Turkey also ranks in the top 5 tea producers in the world. Just like the tea, Turkish coffee is also very popular and a must-try. In fact, it was the Ottomans that introduced Europe to coffee back in the 16th century. Turkey has over 3,000 years of civilization behind its name and a lot of historically important people were born here. You probably didn’t know that Aesop, Homer, St Nicholas (Santa Clause), St. Paul and even the father of history himself Herodotus, were born on the territory of today’s Turkey. Turkey witnessed the rise and fall of many different civilizations and great empires. Hence, you will find an impressive amount of archeological sites dispersed across the country, from Istanbul’s ruins through the underground cities of Cappadocia. This makes Turkey the ultimate haven for archeology enthusiasts. However, in my opinion, the most remarkable site is the Oldest Temple in the world: Göbekli Tepe. Analysis showed that this site is at least 13,000 years old. This makes Göbekli Tepe one of the oldest ancient sites in Turkey. Göbekli Tepe is also 10,000 years older than its next counterparts-the Stonehenge and the Giza Pyramids. As you probably know Istambul is also home to what used to be the Largest Church in the world for over 1,000 years. After the Ottoman invasion Hagia Sofia was turned into a mosque and today it has the status of a museum. Turkey also has the World’s Oldest Mall, the Grand Bazaar (Kapalı Çarşı). It was established in 1455, right after the Ottoman Empire of then Constantinople. 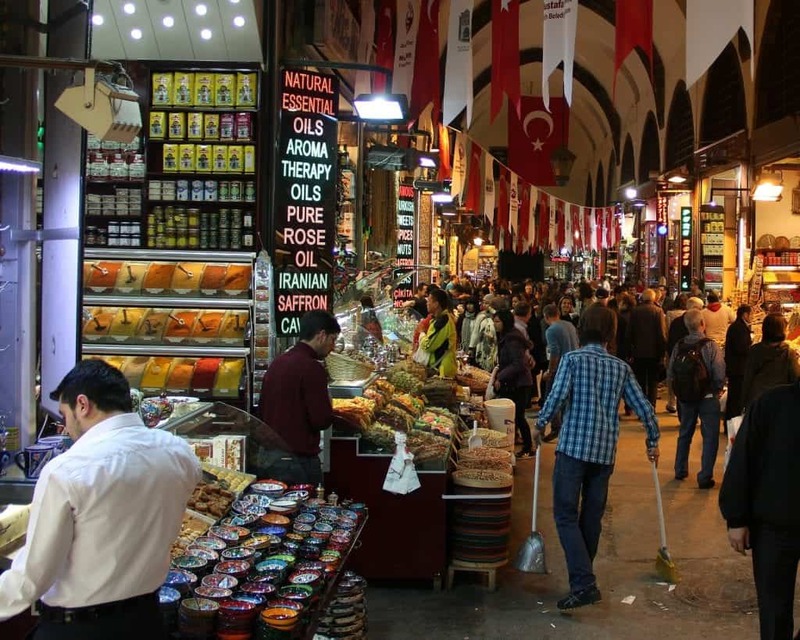 Over time, the Grand Bazaar has grown into a warren of 61 streets with more than 3,000 shops. The total area this massive bazaar covers is 333,000 square feet! Before the recent uprisings, it was the world’s most visited attraction with more than 91 million people visiting this impressive site back in 2014. 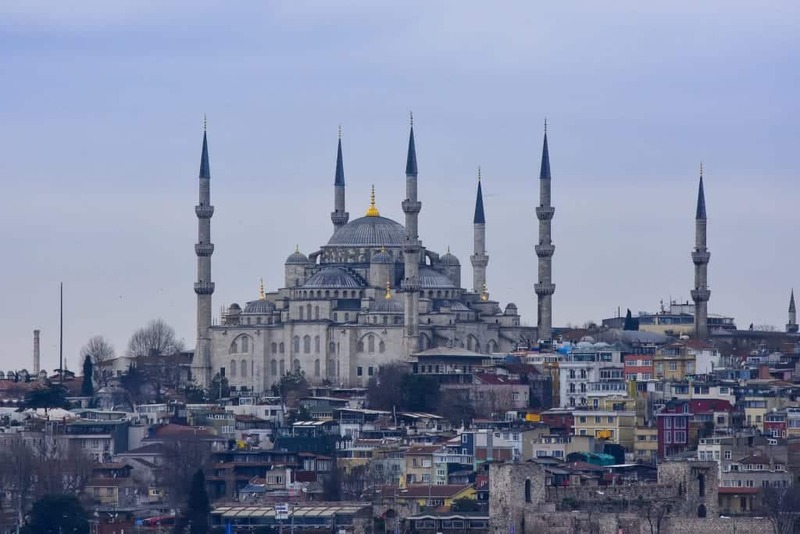 The majority of the population is Muslim and Turkey has the highest number of mosques per capita: 82,693 in total. However, it’s been a secular country since 1923. This makes Turkey the only Muslim, secular, democratic country in the world. They use a Latin-based alphabet with a few modifications, more notably: Ç, Ğ, I, İ, Ö, Ş, and Ü. So if you thought that traveling to a Muslim country means that the written language will be very different, you were wrong. Turkey is also probably the only Muslim country in the world to forbid wearing hijab for public servants. Also, in the 2000s, a Turkish female student was even sentenced to 6 months imprisonment for wearing a hijab during the final exams. The official explanation was that she was“obstructing the education of others”. Turks take their secularism really seriously. To put this in perspective, this is a quote from Orhan Pamuk, one of the greatest Turkish writers of all time. “Snow’ is my most popular book in the United States. But in Turkey, it was not as popular as ‘My Name is Red,’ or even ‘The Museum of Innocence,’ because the secular leaders didn’t want this bourgeois Orhan trying to understand these head-scarf girls”. Another fun fact about Turkey is that most people didn’t have surnames until 1934. It was then that the government passed a new bill. Before that, Turkish people were associated with their trade, village, or physical characteristic (ex Huseyin Tenekeci – Huseyin the tin maker). Turkey is a pretty big country but getting around is surprisingly affordable and easy. If your time is limited but you want to see as much as you can, you should probably go for national flights. You will be able to find cheap flights for between $40 and $90 USD depending on location. 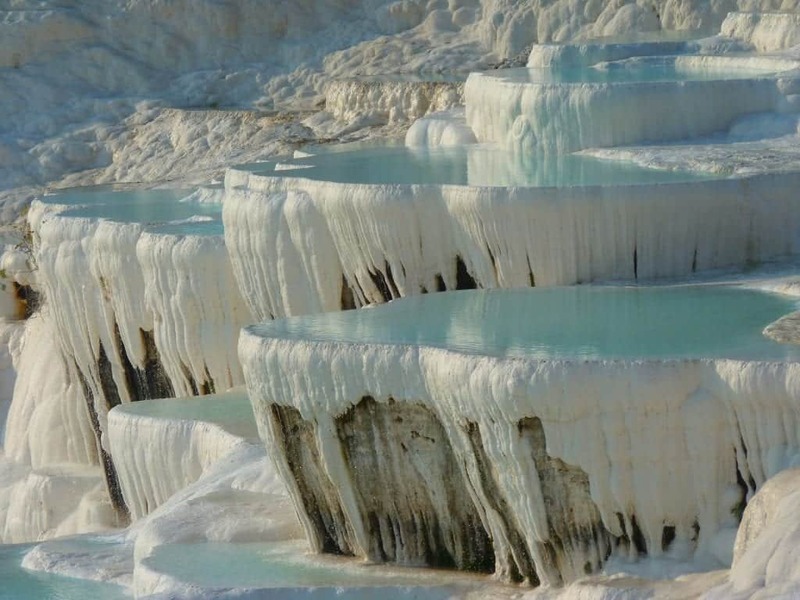 The closest airport to Cappadocia is the Kayseri Airport and the closest airport to Pamukkale is Denizli Airport. If you have more time and you want to explore the country properly, you should take the bus. All regions in Turkey are well connected via road and traveling by bus is extremely safe. The roads are pretty good and you can actually go from Istanbul to Cappadocia in Central Turkey for just 10 hours. Buses won’t be luxurious or super-comfortable but they aren’t horrible either. Finally, the best and most budget-friendly option is the train, especially If you’re from Europe. The Inter-Rail Global Pass is actually applicable to Turkey too. The European part of Turkey has hot summers and cold snowy winters. During this time of the year, a lot of cold winds circulating around Istanbul and the nearby inland area. Therefore, the best time to visit this part of Turkey would be the spring (April -May) or the autumn (September-November). The Mediterranean and Aegean however, have a Mediterranean climate with mild winters and hot summers. This makes these regions convenient to visit throughout the year. Well, except for the few winter months that often witness a lot of rainfall. As you head east, you will experience even more extremes. Eastern Turkey has extremely hot and dry summers that go above 40 degrees Celsius combined with extremely cold winters with heavy snowfall. Hence, the best time to visit the Eastern part of Turkey is the spring and autumn. If you’re traveling around the eastern part of the country, also check my guide about visiting Georgia and a list of things to do in Georgia. I already mentioned the food, tea, and coffee but I also mentioned that Turkey never stops to amaze me. Here are some other things you must try while you’re in Turkey. One thing you must try is the hamam experience, commonly known as a Turkish bath. 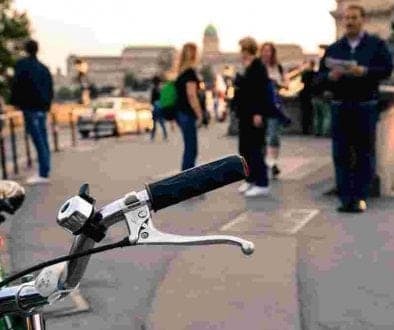 This Ottoman tradition started spreading across Europe during the Victorian Era and today has become increasingly popular among tourists. Getting washed and massaged in a huge cloud of soap certainly is as spectacular as it sounds. 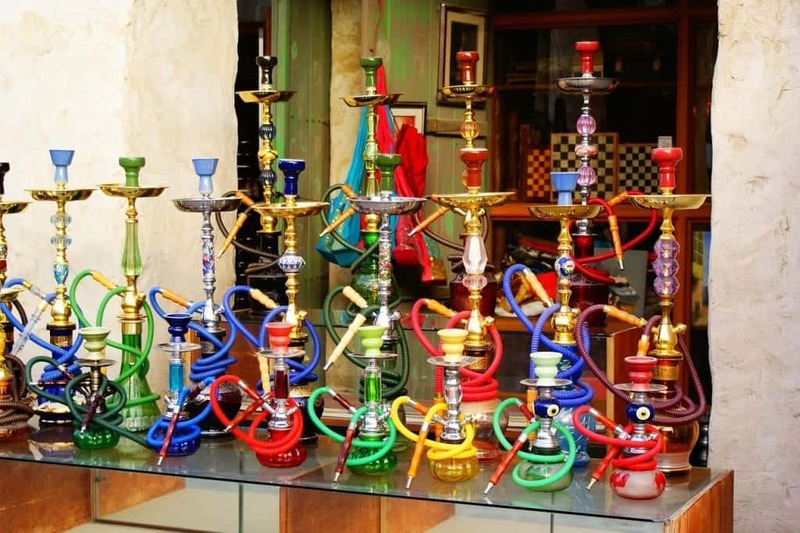 Another typical Turkish thing you must try is the Nargile, also known as a Shisha or a Hookah. Even if you don’t smoke you should try this sweet fruit-flavored tobacco. Turkey is famous for its high-quality tobacco and Turkish people are known as heavy smokers. If you go for a cup of coffee in a café or a bar you will inevitably see a lot of locals smoking Nargile as the tempting, sweet smell of flavored tobacco surrounds the whole area. I just have to mention the most exotic thing I tried in Turkey: a dessert made of chicken breast or Tavuk göğsü. This is basically a chicken breast pudding and I know it sounds awkward but it’s delicious. It was one of the most famous desserts served to the Ottoman sultans and it’s considered a signature dish of Turkey. Finally, there’s a Turkish traditional sport that you won’t find anywhere else (except maybe in some parts of the Middle East) -camel wrestling. This originated among Turkish tribes over 2,400 years ago. Camels wrestle during their mating season (November to March) and the camels are provoked by a female camel parading in front of them. I did say that Turkish people are some of the most hospitable people on Earth but that doesn’t mean that there aren’t any scam artists out there. 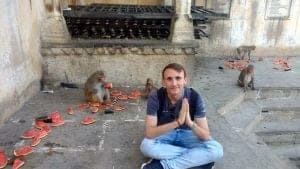 It’s no lie that there are a lot of people that are experts when it comes to getting money out of tourists and they even do that for a living. Avoid cabs that don’t have a taxi stand, bargain with street merchants, watch out for pickpockets (especially in Istanbul) and beware of people that appear ‘suspiciously too friendly’. For a more detailed guide to Turkey’s capital, check out this 4-day Istanbul itinerary and this list of fun things to do in Istanbul. 13 off-the-beaten-track places in France you didn’t know existed Traveling to Bulgaria: why it’s going to be Europe’s next big thing? Very detailed write-up! Thanks for sharing the information. I’d love to spend a few weeks in Turkey some day. I’m glad you enjoyed the article. Thank you for your comment. It would be nice to travel to Turkey too someday. I have been to only Istanbul in Turkey and that I loved very much! I’d love to see more of this immense and hugely varied country, with so many aspects to culture, history and food. Ahh Turkey is so high on my list of places to explore! This article is truly so helpful. I loved reading it because I could tell how much you loved living and writing it. Before even considering how absolutely gorgeous Turkey is, I’m convinced enough to go there just for the cuisine! All of my favorite influences mixed into one. I love Istanbul, such a lively city with so much to see and do. Thanks for putting this informative guide, I am sure it will help a lot of people who plan on visiting the city! Turkey looks like a fantastic travel destination with everything to offer – beautiful landscapes, amazing food, rich heritage and amicable locals! It also feels like the cultural centre where East meets West – a fusion kind of feeling. Thanks for sharing. That reminds me a lot about my own visit to Turkey. Had I read your blog earlier, I wouldn’t be tricked by one of those scams you wrote about. Last October I was on the Aegean coast, and I vouch for autumn as a great time for both sightseeing and swimming in the sea. My friends were there in November and are also delighted. Now I’m planning a trip to Istanbul. So thanks for useful tips. This time I’m more cautious. Hi Chloe, I’m sorry to hear you had a bad experience 🙁 Nevertheless, Turkey is still amazing country and I hope you will have a great time during your next visit. I’ve never even thought about visiting Turkey but wow! It looks amazing! Turkey surprised me when I went a few months ago. 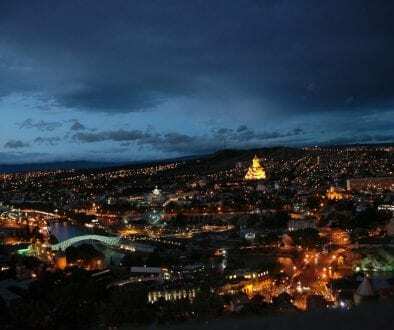 I loved the food, culture, and landscapes. While I got alot of attention (good and bad) from the locals because of my skin color and heritage, I’d still go back. Turkey is one of the destinations, that is often overlooked. At least in where I am from. In Russia they just fly to Antalya and lay on the beach. The country has a fascinating history, food, and culture. You’re absolutely right, Alexander. Many people head to the beaches but there are a lot of other interesting places to visit.